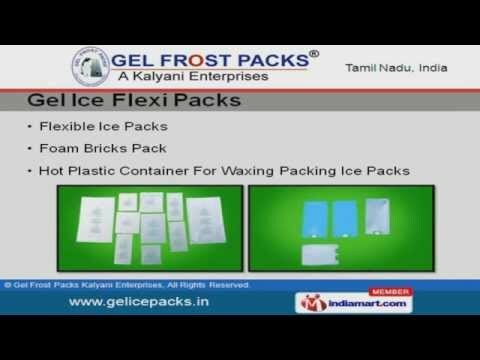 Welcome to Gel Frost Packs Kalyani Enterprises, Manufacturer and Supplier of Reusable, Medical & Gel Ice Packs. The company was established in the year 2005. Our Ensure client satisfaction and Hi-tech manufacturing unit make us different from others. Highly skilled, creative professionals and Effective product make us stand apart from also-rans. We offer a splendid range of Gel Ice Packs, Hot and Cold Gel Blanket. Our Gel Ice Flexi Packs are some of our best selling products. We are instrumental in offering a wide array of Hot and Cold Gel Blanket. Gel Ice Rigid and Cushion Packs offered by us are extremely reliable. Our clients can avail from us an exquisite range of Blue Gel Ice Packs and Gel IceInjuries Packs. Along with that we offer Dry and Soft Gel Ice Packs that are widely acclaimed in the market.